One of the more frustrating imperatives of being a music blogger is the need for constantly having to shallowly and quickly dismiss a lot of music for lack of listening time. Doesn't have a nice looking cover art... NEXT. Didn't attract attention from relevant blogs... NEXT. Cites Zoé as an influence... NEXT. Surfing the internet for new music actually feels like using Tinder, the popular dating app where you like or reject people's profiles almost exclusively by looking at their photos. Eventually when I found myself faced with the possibility of listening to a cryptic project from Bogotá, despite the fact that there wasn't any recommendation from trusted tastemakers, no reference to who was involved in the project, and that quite honestly I'd never even heard of Discos Muertos either, I still decided to give it a try, and found myself instantly hooked from the first few minutes of hitting play. 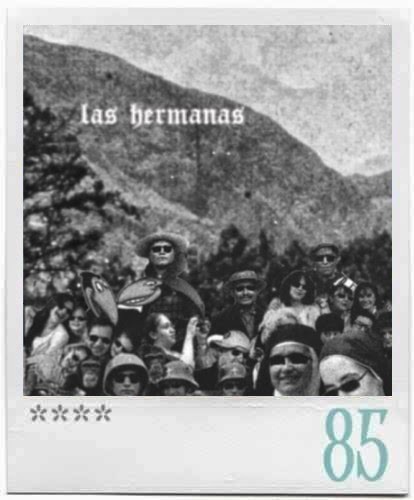 On first impression, Las hermanas is an act that bursts with inventiveness: soul and jazz strings cut and pasted into breathtaking soundscapes, bolero vocal samples laid over música de plancha orchestras. 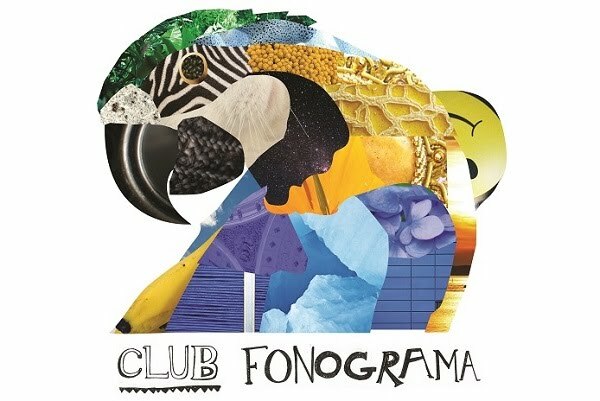 And all of this supposedly coming from the sampling of old vinyl records, hitting the luscious sweet spot between the crate digging swagger of Stones Throw and the hazy abstraction of vaporwave, but with a tinge of Latin pop in its palette. I'll be honest, I initially didn't want to find out who was really making this music, and was willing to not only accept, but feel rather intrigued by the fact that I wouldn't know who was behind this intoxicatingly arcane music. But eventually, such desire for abstruseness lasts little in the internet era, and I quickly stumbled across an interview for Vice where it's revealed that a certain Diego Cuéllar (from previously unheard of noise project Mc Perro) is the man behind Las hermanas. Cuéllar qualifies his music as experimental, which always feels like a cop-out of sorts -- if people don't like it then they're probably just not ready for it. Certainly, this is the type of music that's difficult to write about, its appeal is expressionist more than anything else, yet there's a strict formalism to it that makes the EP a coherent work as a whole. His choices for samples, instrumentation, and song structure remain flexible enough that it stays away from any thoughtless reductions of his craft (such as: "J Dilla if he had lots of Latin records"), while the modus operandi is almost always inflexible: samples over a steady beat. It's been almost 10 years since J Dilla passed away so we can safely ditch the "experimental" tag that's put on the brand of vinyl-sampled, Ableton-chopped, and MPC-shaped beats made by Cuéllar. From a commercial and cultural standpoint it remains more difficult to sell than, say, Peruvian digital cumbia. But despite the fact that it's disconnected, scene-wise, there's something about the haze of old 60's soul and plancha records being sampled that's wholly inviting, even if it doesn't have the ear-candiness of El sueño de la casa propia's more pop-oriented samples. It's a hip-hop album in the same way most of the Stones Throw and Brainfeeder catalogs are: it's not hip-hop in the institutionalized form of breakbeats, sellin' dope, and gang signs, but rather hip-hop as the communion of diversity that is achieved by looking elsewhere for inspiration. In the context of contemporary Latin electronica, it's a stellar addition to the crop of producers that are successfully revamping the nucleus of past Latin pop music into something completely new.